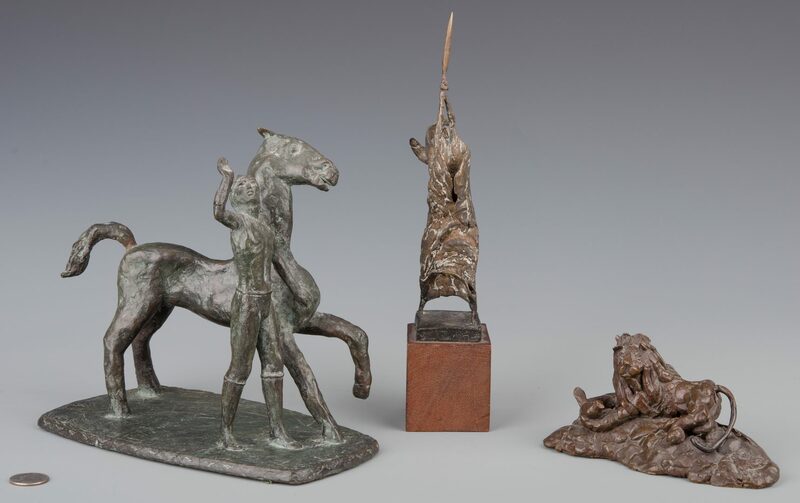 Lot 774: 3 TN Artists Bronze Sculptures, 20th c.
You are here: Home >> 2017 01 21 Auction - Knoxville, TN >> Lot 774: 3 TN Artists Bronze Sculptures, 20th c.
Two bronze figural sculptures attributed to Tom Griscom, TN. and 1 bronze lion sculpture by Bill Doak of Nashville, TN. 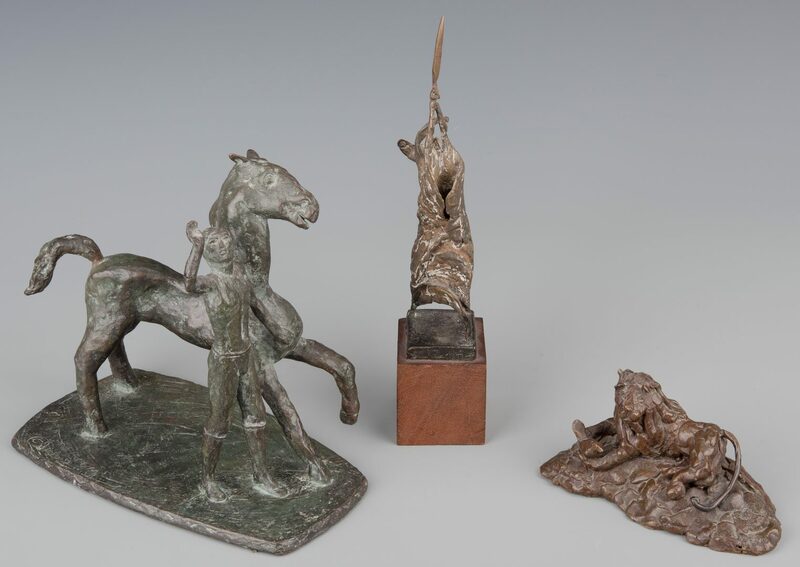 1st item: Patinated bronze scuplture of horse with standing rider, signed on base, Griscom, copyright 1972. 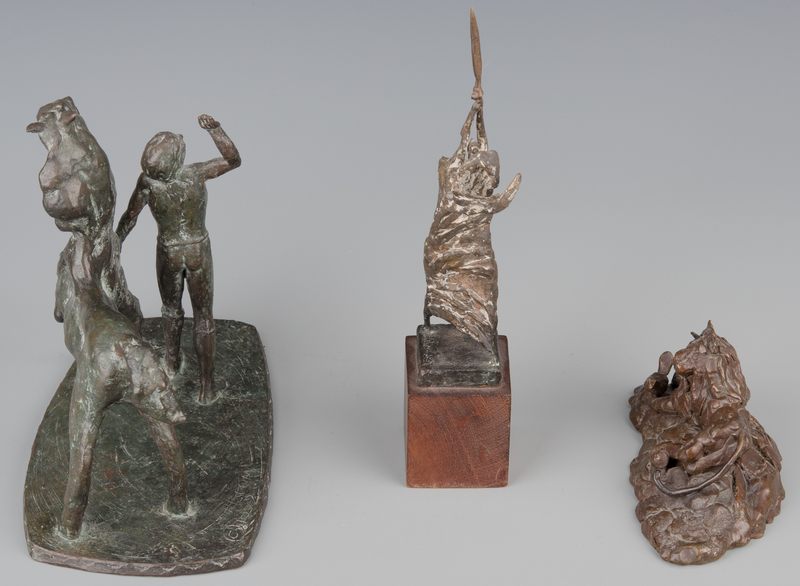 9" H x 9-1/4" W x 5-1/4" D. 2nd item: Abstract bronze sculpture of walking figure with raised arms holding a weapon, unsigned, attributed to Tom Griscom, mounted on square wooden base, 11-1/2" H x 2-3/8" x 2-1/4" overall, late 20th century. 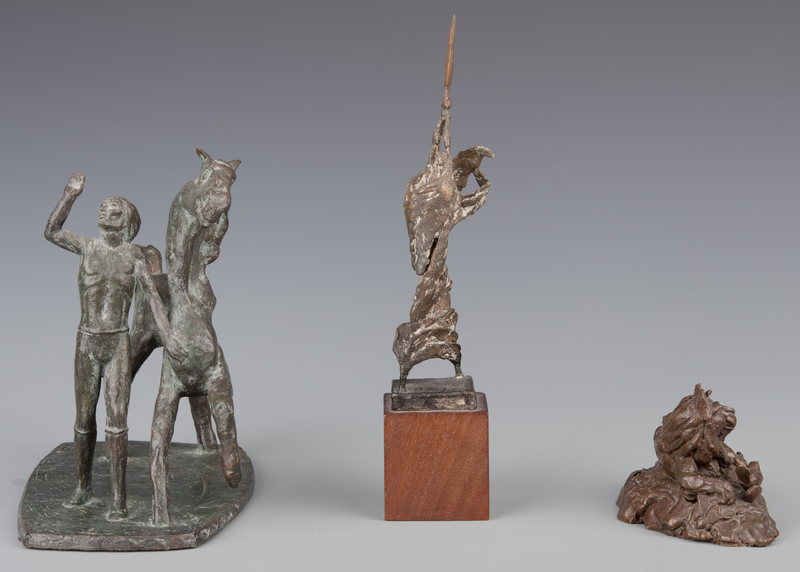 3rd item: Dr. Bill Doak (Nashville, 20th century) bronze sculpture of reclining lion with bird, signed on back, "B. Doak", 3" H x 6 3/4" W x 3 5/8" D. Late 20th/early 21st century. 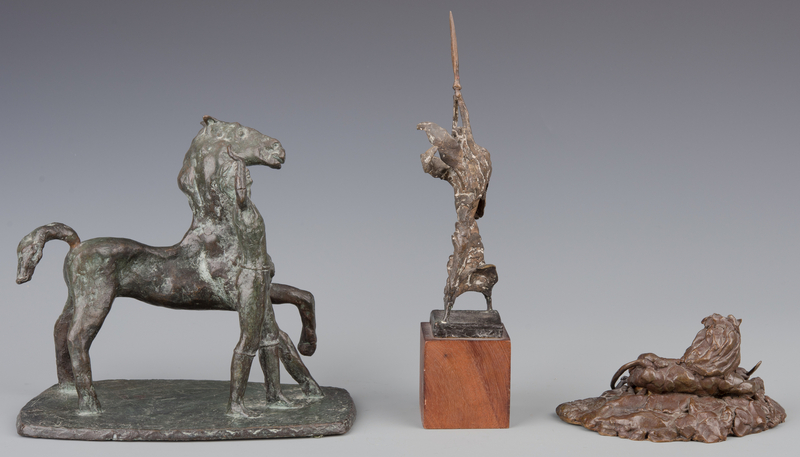 Provenance: Collection of Charles and Ann Wells, Nashville, Tennessee. 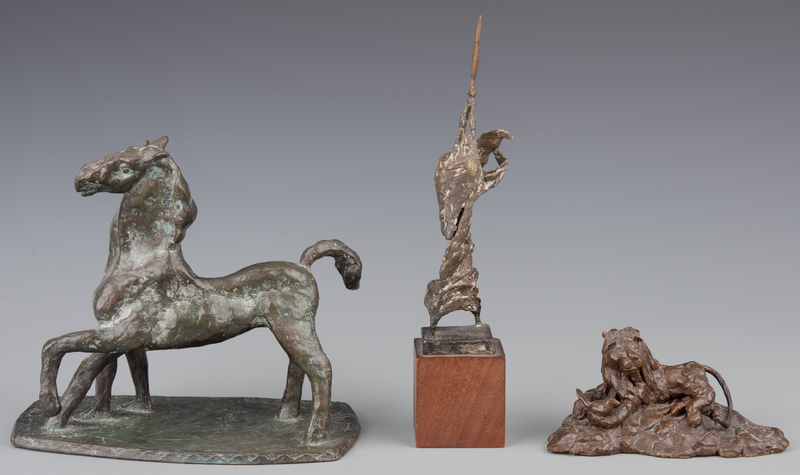 CONDITION: All sculptures in very good condition.